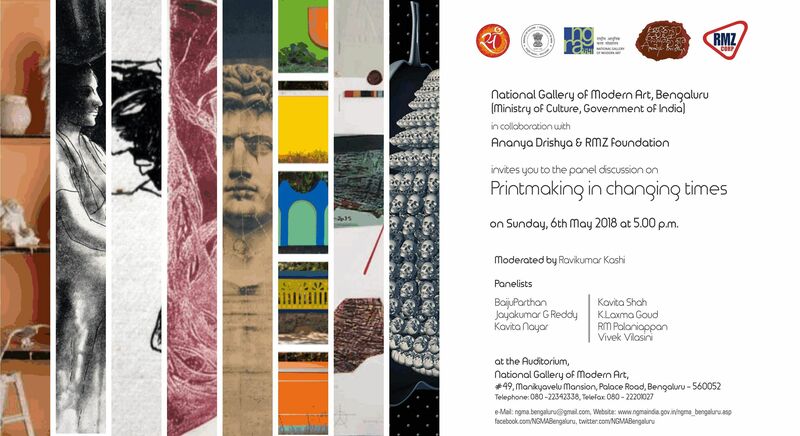 National Gallery of Modern Art, Bengaluru, in collaboration with Ananya Drishya & RMZ Foundation invites you to the panel discussion on ​​​'Printmaking in Changing Times' on Sunday, 6th May 2018 at 5 pm. Moderated by Ravikumar Kashi. 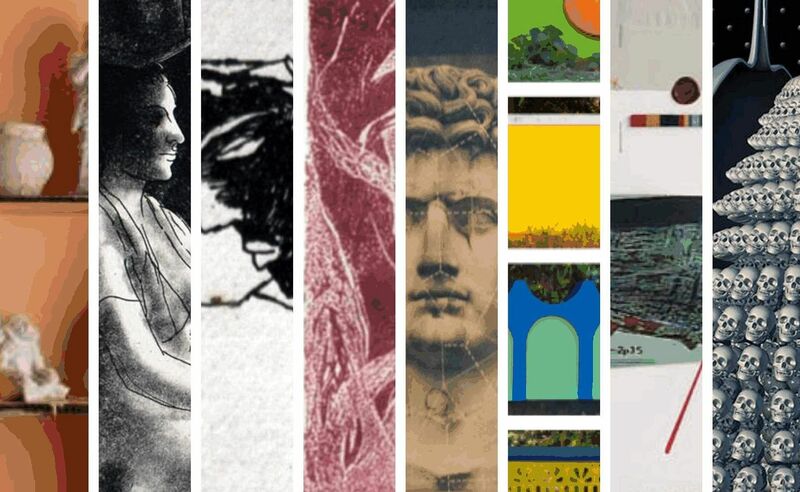 Panelists: Baiju Parthan, Jayakumar G Reddy, Kavita Nayar, Kavita Shah, K Laxma Goud, RM Palaniappan, Vivek Vilasini. At the Auditorium, National Gallery of Modern Art, Manikyavelu Mansion, Bengaluru (2234-2338).